The coldest air in a generation descended on parts of the US in what is known as a Polar Vortex, and I found myself right in the middle of it. 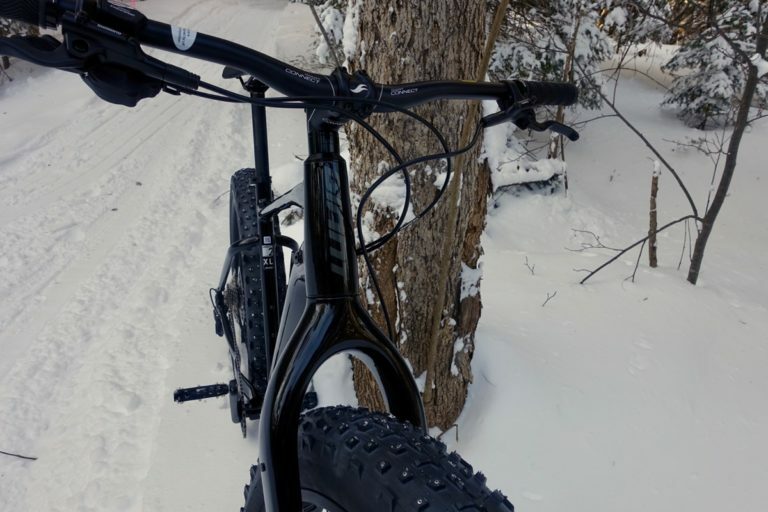 Most of the outdoor activities planned for our trip to the Northwoods of Wisconsin had either been cancelled or severely curtailed due to the weather, and I was worried I wouldn’t even get a chance to throw my leg over a fat bike at all. 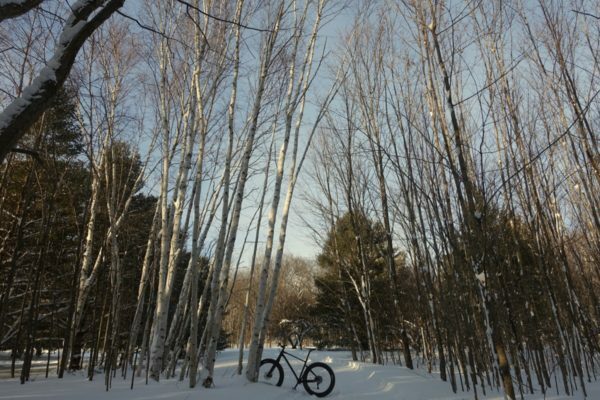 By Thursday afternoon the temperatures had warmed up to about -15°F without the wind chill, so fat biking was a go. The Howl Adventure Center in Bayfield, WI set me up with a fat bike and groomed trails to explore right out the back door of the shop. As I prepared to head out, shop owner John Thiel asked to see my gloves. “They’re pretty thick ski gloves,” I said. I hoped he wouldn’t notice the Gorilla Tape I had added to cover a tear in one of the fingers before I left Georgia. The Wolfsong Wear Musher mitt set didn’t look like anything I had ever worn for biking, but desperate (and extreme) times call for desperate (and extreme) measures. 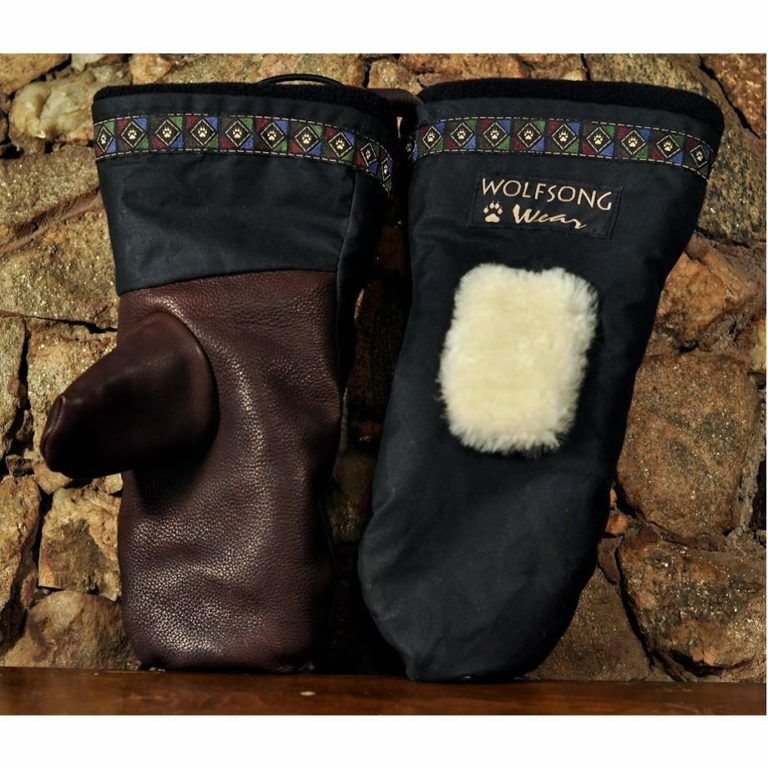 It turns out Wolfsong Wear is made here in Bayfield, WI and John’s wife Mary designed these mitts for another one of their businesses- a sled dog tour operation. The mitts clearly aren’t designed with brake levers and trigger shifters in mind, but man are they warm! After this trip, I truly understand the importance of good gloves in extreme cold weather. Wearing heavy boots, giant mitts, and pretty much every layer I own, I set out assuming I was going to be uncomfortable and that it would be difficult to get a feel for the Yukon 2. Truthfully, I wasn’t sure how long I would even last, and I told myself I would come in after just a short ride. Turns out, riding the Yukon 2 ended up being one of the highlights of my trip and I couldn’t get enough. The Giant Yukon 2 rolls on 27.5-inch wheels which is a fairly recent development in the world of fat. 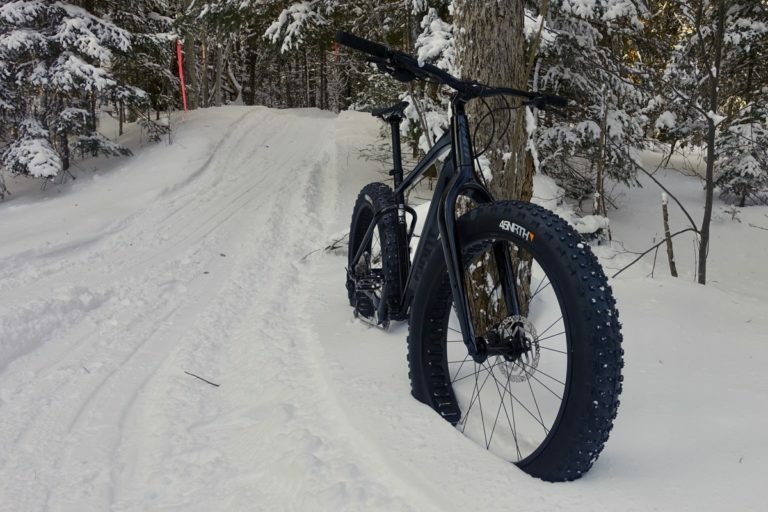 Standard fat bike wheels are generally 26 inches in diameter, but brands like Giant and Trek have embraced slightly larger diameter wheels for a more racy feel. The rear dropouts are adjustable to fit tires up to 27.5×4.5″, and while the stock build ships with 4.5-inch Maxxis Collosus tires, Howl had my XL bike fitted with 45NRTH Dillinger 4 studded tires. I found the studded Dillingers to be a good choice for tackling varying winter conditions. 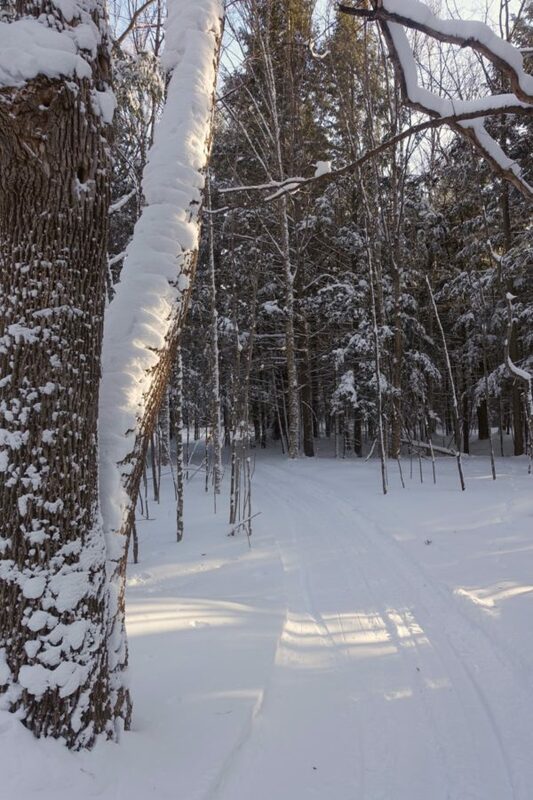 Even on groomed tracks, there’s always the chance of encountering icy stream crossings, and snow conditions can change throughout the day. 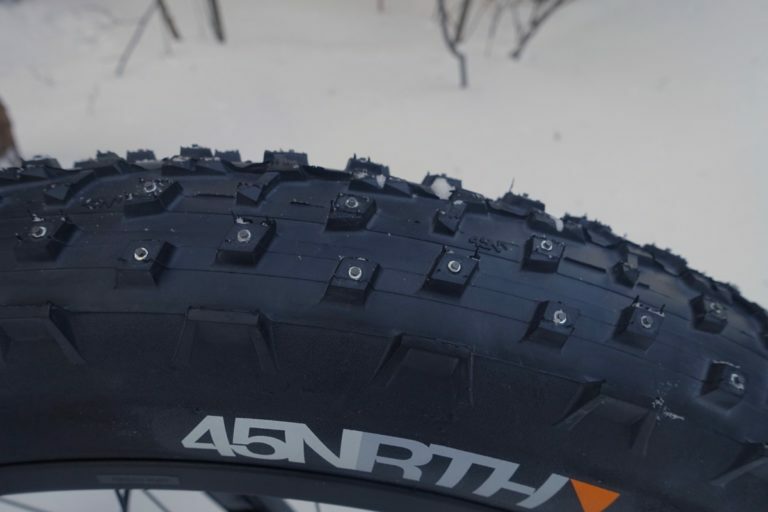 The tires were incredibly confidence-inspiring, and able to corner and grip in all but the deepest snow. 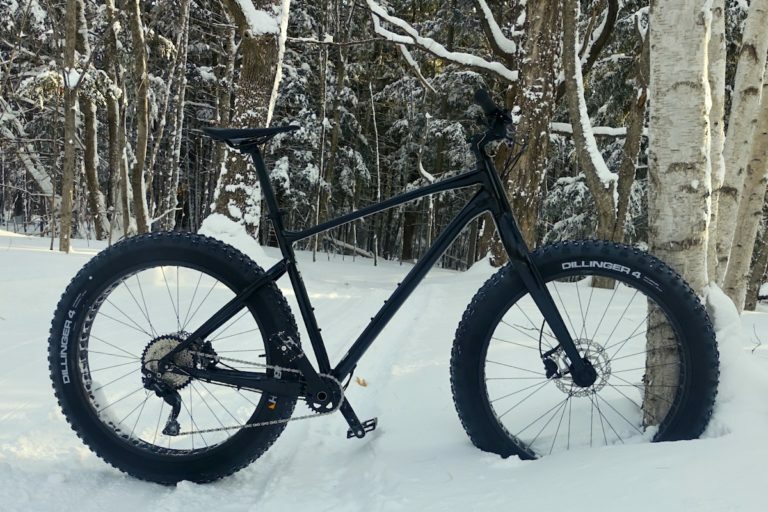 Though the Yukon 2 is the lower spec Giant fat bike, it features the same aluminum frame and carbon fork as the more expensive Yukon 1. 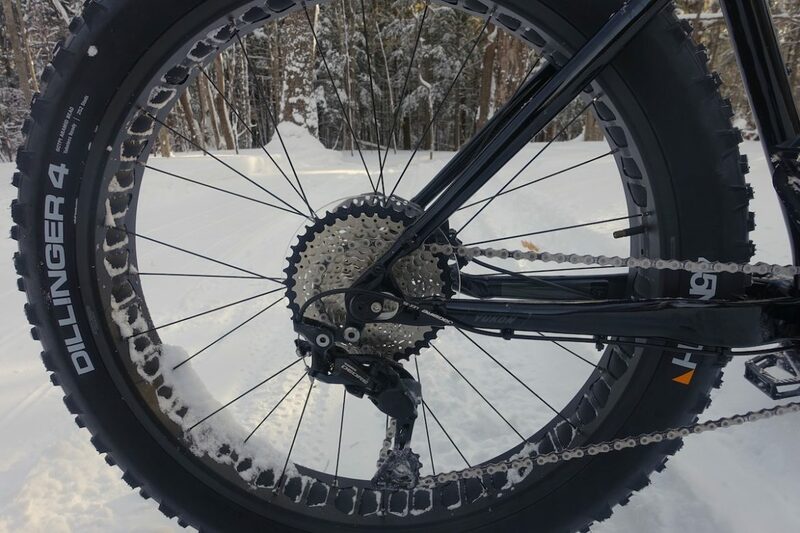 The 10-speed Shimano Deore drivetrain is more than adequate for the trails and conditions I experienced, though for riders who plan to ride steep trails or in deep snow, the 12-speed Eagle drivetrain on the Yukon 1 might be a better choice. Pedaling the Yukon felt very comfortable, and that’s important because snow bikers tend to do a lot of pedaling. Descending, the bike felt surprisingly nimble and relaxed. The 68.5° head tube angle, along with the overall geometry, offers a nice compromise between climbing efficiency and nimbleness. The bike does not feel stuffy at all. Giant touts the narrow Q-factor on the Yukon 2, though honestly I didn’t ride long enough to truly appreciate it. Or maybe I did. Pedaling felt mostly natural and the bike handled great, even when I decided to push it and slide through the turns. The Yukon 1 adds a dropper post, which I’m convinced would make this bike truly badass. In the end, my test ride was cut short not due to a lack of desire or comfort on my part, but simply because my time was up. I could have kept going, though in hindsight, I’m not sure I would be able to survive a mechanical in those conditions. The crazy thing is anyone can demo the Yukon 2 or pretty much any other bike (including bikes from Salsa and Surly) at the Howl Adventure Center for free. The shop also rents bikes for those who are interested in exploring the nearby trails at Mt. Ashwabay where riders will find 20 miles of singletrack. The Howl Adventure center is fairly unique as far as bike shops go in that they have their own trails on the property. Parking lot test rides are lame, so Howl offers up about 2km of trails that are open to the public free of charge. 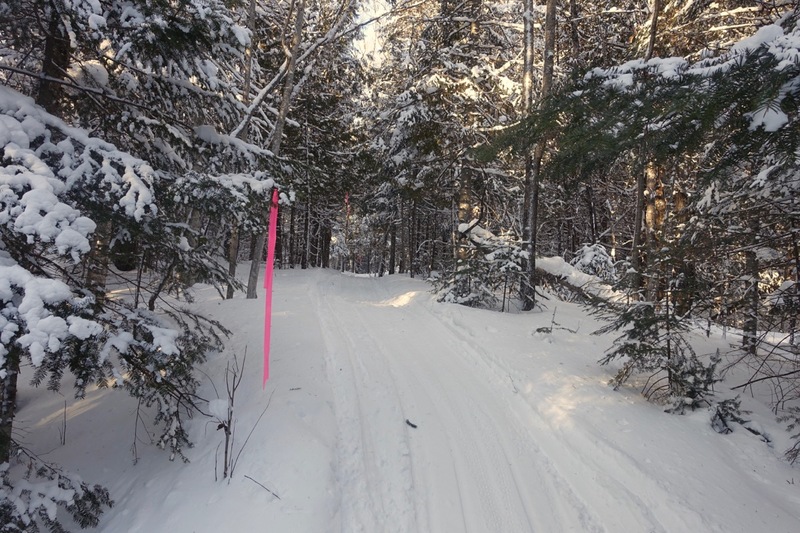 They even groom the trails in winter, making it a great place to give fat biking a try for the first time or to evaluate your next purchase. In summer there’s even a pump track if that’s your jam. While most of the wiser locals took a few days off from fat biking during the Polar Vortex, I’m glad I got out and had a chance to ride the Giant Yukon 2 on the trails at the Howl Adventure Center. Aside from the cold air, conditions were great, the trails are entertaining, scenic, and well-groomed, and the Yukon is a fun bike. I’m sure I’ll be back, but hopefully when the temperatures are above zero.